In the old days, Macs used to be way behind PCs when it came to CAD software. Nowadays that’s all changed and there are some superb Computer Aided Design packages available for Mac users. Of course, there are still a few major titles such as Solidworks which still isn’t available on Mac but from incredibly user friendly 2D CAD software like SmartDraw to industry leading professional 2D/3D CAD apps like AutoCAD & AutoCAD LTthe options are better than ever. All of the following apps can handle 2D CAD design and the most powerful ones are suitable for 3D design and modelling too. If you’re looking for something to redesign your home with, you might find our look at the best home design software for Mac useful too. Here then is our list of the best CAD software on Mac in order of ranking. If you’re looking for something powerful for 2D CAD design but amazingly easy to use and value for money, SmartDraw is the best 2D CAD software for Mac on the market. SmartDraw is incredibly flexible because it can be used both as a powerful diagramming alternative to Microsoft Visio but also as a powerful but extremely user friendly CAD tool for 2D design. 40,000+ Quick Start Templates: SmartDraw has more templates than any other CAD tool on Mac with everything from floor plans and office plans to electrical schematics, mechanical and architectural designs. CAD Automation: As you add elements, SmartDraw also automatically “snaps” everything together to help keep your designs organized, symmetrical and connected. It basically automates the often annoying fiddly aspects to CAD design and this we find incredibly time saving and stress reducing. 34,000 Symbols & Objects: We’ve never seen so many high quality vector symbols and objects in a 2D tool than you can drag and drop into designs. Value For Money: Compared to most 2D CAD software on this level, it’s not outrageously expensive plus you’re not only getting a CAD software, you’re getting an entire host of other diagramming tools. You can get started now with SmartDraw for free to see exactly what it can do. You can also check out our full SmartDraw review for Mac & PC for an in-depth look at everything it can do. AutoCAD is one of the CAD industry’s leading tools but it wasn’t until 2010 that Autodesk finally released AutoCAD and AutoCAD LT for Mac. You can download AutoCAD LT as a Mac desktop client and you can also use it online via the AutoCAD LT web app. Th full version of AutoCAD does both 2D and 3D design but if you don’t need 3D modelling, AutoCAD LT is 75% cheaper than the full version of AutoCAD and excellent value for money for a CAD tool on this level. Both AutoCAD and AutoCAD LT are incredibly professional tools that virtually invented the industry standard DWG file format. 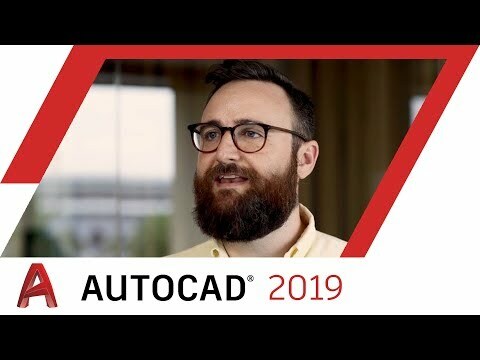 They’re both powerful & easy to learn: Many architects start life learning the ropes on AutoCAD products because it’s powerful but has an extremely intuitive interface that makes it easy to get to grips with. TouchBar support: AutoCAD is one of the only CAD drafting tools which supports the TouchBar on the latest Macs. We find this seriously speeds-up your workflow because you don’t have to use the TouchPad or mouse all the time. This shows that Autodesk take Mac users seriously and aren’t just pushing the Windows version onto macOS like many developers do. 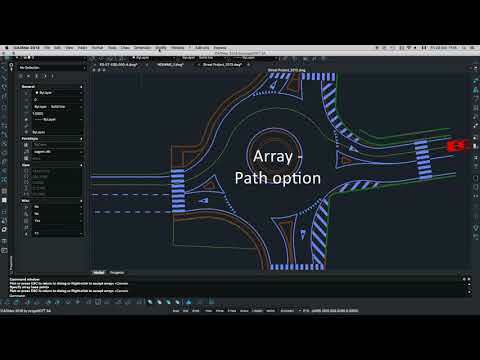 Superb web & mobile apps: The latest version of AutoCAD LT 2019 allows you to edit via a web browser and on your iPad or iPhone. The AutoCAD mobile and web apps are extremely close to the desktop version meaning you can edit projects anywhere. The 3D modelling features are amazing: AutoCAD produces probably some of the most stunning results on retina Macs you’ll see in any CAD software (although this is not available in AutoCAD LT). Value for money: AutoCAD LT costs 75% less than AutoCAD and you can always upgrade to AutoCAD later if you need 3D capabilities. With AutoCAD LT, you’re basically getting the same product as AutoCAD for a quarter of the cost only without the 3D features. You can see exactly how AutoCAD LT compares to AutoCAD here. You can also get 10% off all 3 year subscriptions on AutoCAD products for a limited period. You can choose to pay month-to-month and cancel at any time. Note that if you’re based in Europe, you have to use the Autodesk Europe store to buy AutoCAD software. When it comes to professional architecture, engineering and construction blueprints, AutoCAD LT & AutoCAD For Mac are industry leading tools. If you don’t want subscription based software and need an intermediate level CAD solution, TurboCAD Mac Deluxe is an affordable standalone desktop 2D and 3D CAD tool for Mac. TurboCAD is already a major player on Windows providing strong competition for AutoCAD although it’s still not as well known on Mac. TurboCAD uses the same engine as the highly respected Solidworks but has a more ViaCAD style interface. TurboCAD Mac Deluxe is far more user-friendly than both Solidworks and ViaCAD however and is ideal for designing floor plans, diagrams, and illustrations. One particularly nice feature is the ability to open 3D DWG (AutoCAD files) and even convert them into 2D with top and bottom side views. TurboCAD Mac Deluxe is a good choice for those new to CAD as it has lots of online help and video tutorials to familiarize you with the interface. One of the best things about TurboCAD Deluxe is the price. At $129.99 for a standalone 2D/3D CAD software, it’s extremely good value for money compared to similar apps. Although TurboCAD Deluxe is too lightweight for professonal use, there is also an advanced version of TurboCAD (see TurboCAD Mac Pro below) which gives even AutoCAD a run for its money. TurboCAD Mac Pro is a more powerful version of TurboCAD Mac Deluxe and provides a cost effective alternative to AutoCAD. Compared to TurboCAD Mac Deluxe, the Pro version has a much better 64-bit user interface, integrated Redway drawing engine, Page Layout wizard, BOM and mating tools. The Mac version of TurboCAD is also easier to use than the Windows version of TurboCAD as it allows you to customize the palette and interface pretty much any way you want. You can design almost anything in TurboCAD Pro from something as simple as designing a bike to creating the blueprint for an entire building. There’s also a TurboCAD Pro Powerpack for an extra $99 which adds support for things such as 3D printing, advanced design and BIM. Although TurboCAD Pro doesn’t quite match-up to industry heavyweight AutoCAD, TurboCAD Mac Pro costs $499.99 which is considerably cheaper than an AutoCAD subscription. Unlike AutoCAD, there’s no subscription either although bear in mind you will have to pay for major updates. Autodesk Fusion 360 isn’t quite as powerful as AutoCAD but is aimed at the product design focused “prosumer” CAD market. The other big difference with AutoCAD is that Autodesk Fusion 360 is entirely Cloud based whereas AutoCAD also has a desktop client for Mac. The interface of Fusion 360 is more Windows-like than AutoCAD but it’s still an amazing tool for 3D product design and CAM. The use of T-Splines and Sculpt environment in particular makes it easy to conceptualize and model and it’s easily one of the best 3D CAD tools for product designer on Mac out there. If you’re looking for something focused on 3D product design but don’t need the advanced features of AutoCAD, Autodesk Fusion 360 is an impressive and cost effective alternative. HighDesign is professional CAD application designed specifically for Mac that offers excellent value for money. From humble beginnings at a small Italian developer, HighDesign has even attracted the attention of NASA for its CAD needs. Although HighDesign only supports 2D CAD, it can import and export AutoCAD files (including DXF/DWG) and TIFF files. HighDesign is easier for than most professional CAD applications and anyone that has used AutoCAD will recognize the interface straightaway. HighDesign puts a special focus on architecture and allows both photogrammetry and image editing for drafting of building plans which is quite unusual for MAC CAD software. Other features in HighDesign 2017 include Associative Linear Dimensions, PNG alpha export, vector information, tool tips and quick object info. HighDesign is overall an incredibly accomplished CAD product that often goes under the radar of professional designers because of it’s surprisingly low price. The Standard version is just $199.99 although Professionals will need either the Pro ($299.99) or Pro Plus ($449.99) versions for full functionality. The German based developer of ARES Commander Graebert has been in the CAD business for over 30 years although it was only in 2015 that it was finally released on Mac. ARES Commander is a German based software that has recently been updated to become a truly multi-platform CAD solution which and is an ideal choice for those that need to work across Windows, Mac and mobile devices off site. ARES Commander feels remarkably like AutoCAD with DWG as its native format although it’s not very intuitive to use at first. At just $250 per year, ARES Commander is also extremely competitive considering it’s almost as powerful as apps such as AutoCAD but costs significantly less. 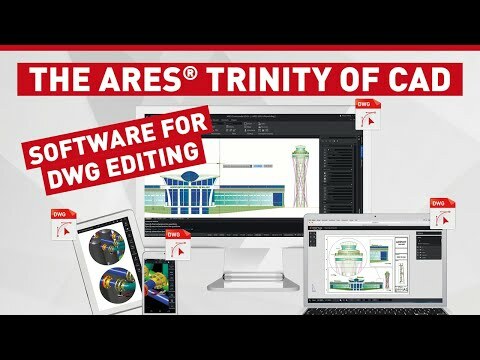 ARES Commander offers three versions for desktop, mobile and cloud which it calls “The Trinity of CAD” and one license is valid for all. ARES Commander is the desktop version for Mac and PC, ARES Touch is for mobile and ARES Kudo is the Cloud version. ARES Touch is now available for iPad and iPhone and is one of the most fully featured CAD applications you’ll find on iOS. The well organized interface feels the same across all platforms with all the same functionality on Mac, Windows and mobile. The demand for DWG CAD software on Mac remains strong despite the explosion in 3D, BIM and PLM CAD software but ARES remains a good choice for Microstation users as it’s one of the few that supports DGN. ARES Commander for Mac also allows you to import DGN (Microstation) files, essential for civil and landscape architects. ARES Commander features a number of useful tools such as QuickModify which allows you to combine several commands into one. So for example, you can combine rotate, move, copy and cut into one command if that’s an action that you perform frequently. This is surprisingly useful and increases productivity by reducing the amount of mouse clicking you need to. One other nice touch is Quick Input which automatically provides angles, dimensions, options and other useful data as you design to help you make sure your designs are accurate. Thanks to the open API, you can also create custom functions and plugins for ARES Commander on Mac based on VSTA, C, Delphi and other languages. If you’re looking for something similar to AutoCAD on Mac but with a cheaper subscription, ARES Commander is an excellent value for money professional level CAD software. VectorWorks for Mac is one of the most popular CAD packages out there and supports both 2D and 3D design. In particular, when it comes to BIM VectorWorks is hard to beat if that’s one of your main concerns. For an industry level CAD application, it’s also surprisingly accessible because it’s been designed with both beginners and professionals in mind. Although VectorWorks is most commonly used for Architecture and especially Construction Engineers, it can be used for any CAD task. The interface of Vectorworks uses a clean WYSIWYG (What You See Is What You Get) format which makes designing easier to conceptualize and get to grips with. Some of the highlights of VectorWorks include graphical scripting tools, intelligent objects and a superbly implemented virtual reality feature. Also ahead of the curve is VectorWorks Marionette which intelligently uses algorithms to shape design forms and customizations (although this costs extra). If you’ve struggled to learn AutoCAD and want something powerful and innovative, Vectorworks is an amazing piece of CAD technology. SolidThinking Evolve for Mac is aimed at Professional Industrial Designers. It’s very much a mix of CAD and 3D modeling capabilities wrapped up in a very slick interface. SolidThinking Evolve features Geometry Simplification tools, smoothing options and concentrated mass parts. Evolve allows organic surface modeling, parametric control and there’s a very handy ConstructionTree history feature. If your job involves a lot of CAD and 3D modeling, then SolidThinking Evolve is a great all round solution but it lacks some of the advanced functionality of top CAD software such as AutoCAD and VectorWorks. Siemens NX (formerly known as Unigraphics) is an industry leading 2D and 3D CAD and industrial design software for both Mac and PC. Siemens NX is used by professionals worldwide for professional industrial and aerospace industries. 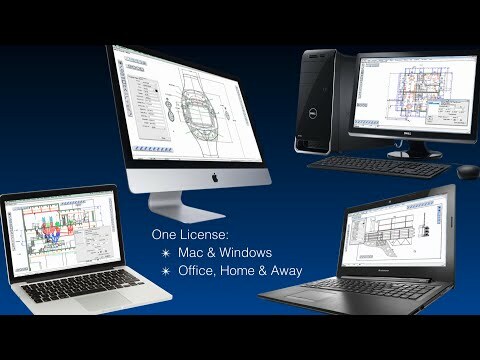 Siemens NX is probably the leading PLM (Product Lifestyle Software) available for Mac and certainly the only true industrial class PLM software for Macs. Siemens NX is one of the few CAD software packages that also includes 4th generation 4GD technology to enhance and facilitate design on industrial assemblies. Another unique feature is synchronous technology for 2D which adds more intelligence to 2D data and enables users to edit multi CAD 2D files five times quicker. It’s impossible to list all the features and functionality of Siemens NX here but it’s safe to say it’s squarely aimed at industrial designers with an industrial budget. MacDraft Pro is another powerful but user friendly CAD software designed specifically for Mac. MacDraft Pro is the professional version of MacDraft PE (see review below) with a more advanced multi-layered, scaled drawing environment. It’s suitable for mechanical, architectural and engineering professionals and supports importing AutoCAD and DWG/DXF files. You can drag and drop common image or CAD elements into your designs and it can even be used to design brochures, magazines and even flyers. MacDraft Professional is extremely user friendly for a 2D CAD app and makes interior design, architectural drawing and illustration much easier than on AutoCAD. In particular it has some very precise vector tools, smart units and has a fully-featured scaled environment. On the downside, it does lack some basic features such as trimming arcs or circles and of course, it’s 2D only. However, if you want an easy to use 2D CAD desktop software for macOS, MacDraft Pro is one of the best out there. MacDraft Personal Edition (PE) is a simpler version of MacDraft Pro with a more basic toolset and functionality. 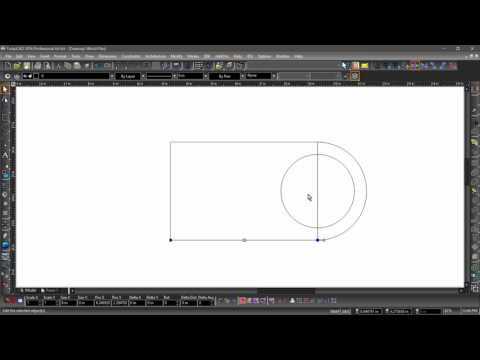 It’s a very good starting point for beginners to 2D CAD as it’s easy to learn. It has a very limited library although you can purchase 2000 more from the developer website including architectural, electrical and graphic symbols. Although it’s aimed at beginners, the interface can be a little tricky to navigate at first and adding basic elements such as windows and doors isn’t as clear and straightforward as it should be. However, it doesn’t take long to get the hang of it and once you have, it’s surprisingly versatile. Be aware that MacDraft PE can’t produce drawings of smaller than about 17 inches and only supports a maximum of 5 Layers unlike the Pro version which allows unlimited layers. It also does not support DWG and updates aren’t free like in the Pro version. If you’re on a limited budget and want something to get started in 2D CAD software on Mac, MacDraft PE is an excellent stepping stone to the Pro version. CorelCAD for Mac is from the makers of the extremely successful CorelDRAW graphic design program CorelDRAW for Mac which no longer exists. CorelCAD for Mac 2018 lives on however and it’s pretty good too for a professional standalone CAD software under $1000. CorelCAD for Mac is based on Corel’s own ARES engine and works for both 2D and 3D drawings. It can import DWG files and is also suitable for 3D printing and exporting in STL and PDF format. CorelCAD uses a ribbon based interface which will be familiar to anyone that’s used Microsoft Office and is generally very easy to use and navigate around. CorelCAD is perfect for Architects, Engineers and Construction (AEC) service providers that focus mainly on 2D designs but need to sometimes flesh-out things in 3D too. Overall, CorelCAD for Mac is extremely good value for money with lots of powerful features. ArchiCAD for Mac is another industry leading software for CAD and is unique for using the Maxon CINEMA 4D rendering engine for photo realistic rendering. The results of this are stunning and few programs can bring your CAD designs to life quite like ArchiCAD. 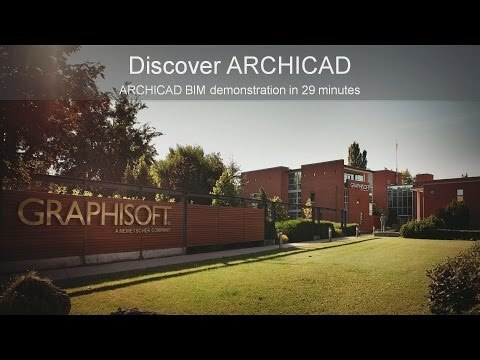 It was also one of the first packages to support BIM and includes BIMcloud integration for easy collaboration with other designers on projects, wherever they are in the World. The one downside of ArchiCAD is that it still requires Java on Mac which we don’t recommend for a variety of performance and security issues on Mac. Graphite for Mac, formerly known as Vellum, is a professional 3D and 2D CAD program. Graphite’s strength is high precision wireframe drafting although it is quite dated now. However, if you’re mainly going to be doing wireframe drawings, Graphite specializes in this form of CAD. You can work with AutoCAD DWG files and it integrates with the developer Ashlar Vellum’s popular 3D modeling software Cobalt. One of the main advantages users report with Graphite is speed – it has a very smooth and efficient workflow that makes producing complex designs very quick. This is a result of what the developer Ashlar-Vellum calls an “Organic Workflow” between its products for maximum speed and efficiency. There are many glowing testimonials to Graphite but we’d advise using the free trial first before deciding whether to go for it. iCadMac markets itself as a cheaper alternative to AutoCAD for Mac and is a user-friendly 2D and 3D app which writes and reads AutoDesk DWG files. The developers of iCadMac are also responsible for progeCAD Professional on Windows. iCadMac can also convert PDF to DWG and exports plans in 3D to PDF. The interface is also highly customizable so that you have fine control over the layout of your tools although apps such as AutoCAD for Mac have caught up in this area nowadays. 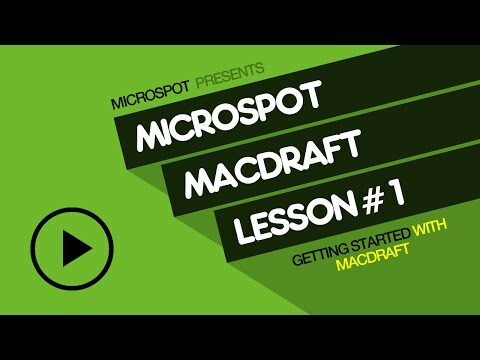 iCadMac also includes an iPad app that lets you design on the move. iCadMac doesn’t support BIM however and it’s backed by a much smaller team and infrastructure than the major CAD developers out there. 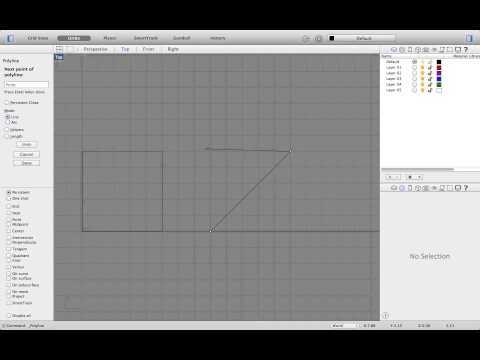 DeltaCAD for Mac isn’t aimed at professional CAD designers but it’s an excellent starting point for beginners. It does support importing of AutoCAD files but there’s no support for BIM or the more advanced features professionals need in a CAD application. One unusual feature however is that you can write your own custom macros in AppleScript to extend it’s functionality. For instance you can use macros to create objects or read in data although only those that have been using Mac for a long time will have any idea of how AppleScript works. If you just want a cheap CAD program on Mac for doing house plans, newsletters, furniture Layouts etc, DeltaCAD is a decent choice. Similar to DeltaCAD, CADintosh X for Mac is a budget 2D CAD program for Mac users. At just over $30, it’s one of the cheapest CAD programs for Mac available and is suitable for technical and architectural drawings. CADintosh X is very basic – there are 8 pens and 6 line types to choose from but it there’s no support for importing files from major CAD programs – it only imports DXF, HPGL, IGES and PDF. AutoQ 3D is another low-end CAD program for Mac with a user-friendly interface that’s suitable for beginners to CAD or someone who just wants to build a basic prototype. The difference to other CAD programs in this price range is that it supports 3D as well. It’s also got the best interface of CAD apps at this level and comes with a free iPad and iPhone app. AutoQ 3D allows you to see drawings from all angles with Preset Views, Snap shapes into place and for just under $30, you can’t go too far wrong for a 2D/3D CAD app in one. BricsCAD is a professional CAD package that combines powerful 3D modelling with advanced 2D design features. BricsCAD is one of the few CAD packages that runs on all Mac, Windows and Linux platforms. It’s suitable for all types of industrial 2D and 3D design but it has specialized support for sheet metal design. BricsCAD uses what’s known as a Quad cursor which enables designers to make complex technical drawings, 3D models and intricate layouts very quickly. 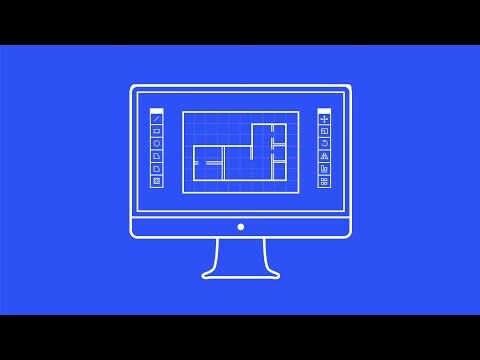 BricsCAD is also unique because it handles both 3D drawings and parametric assemblies but saves files in DWG format. In fact BricsCAD compares favorably with AutoCAD and it even provides a free book on how to switch from AutoCAD to BricsCAD. There are three versions of BricsCAD – Classic ($750), Pro ($970) and BricsCAD Platinum ($1110) but prices for all are slightly higher if you want premium support. Classic only handles 2D but Pro adds 3D modelling and Platinum adds BIM support. BricsCAD is an excellent AutoCAD for Mac alternative with many of the same features but without the subscription pricing model. Rhino For Mac is a specialized 3D CAD software designed specifically for Mac with a loyal following and arguably still one of the best programs for organic 3D design. 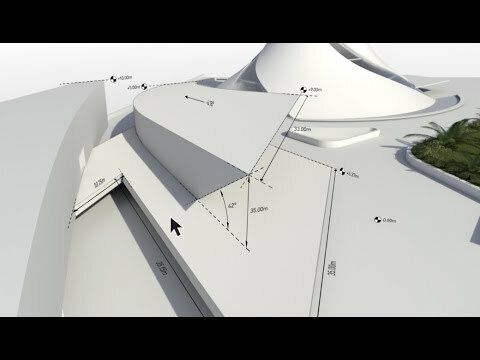 Rhino features tools to do everything from creating, editing, and rendering to animating, translating NURBS curves and creating polygon meshes. Rhino For Mac is pretty good value for money at $695 because some of the free form 3D modelling features cost a lot more in similar packages and yet it still remains powerful enough for professional needs. In the beginning, there were many features missing from the Mac version of Rhino compared to Windows but nowadays the two products are almost exactly the same. Only Worksessions, Animation Tools and some Commands are missing from Rhino for Mac and the Grasshopper feature is still in progress. If you just want a 3D CAD app on your Mac without breaking the bank, Rhino for Mac is an impressive tool. Finally, PowerCADD for Mac is for all those old school CAD designers that miss the days of pen and paper. 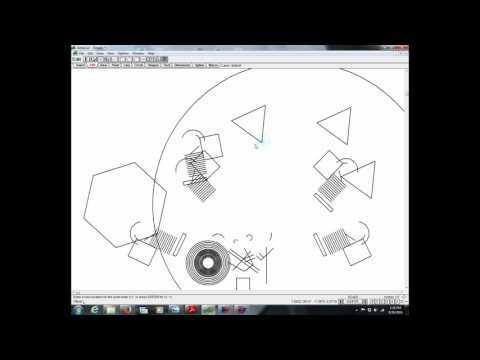 PowerCADD is for 2D CAD only and creates CAD designs that look like they were done on paper. PowerCADD is suitable for all types of CAD design from buildings to machinery, brochures and even maps. The functionality of PowerCADD can be extended too by something called “Externals” which are basically add-ons that can be activated simply by dragging them into a specific folder. PowerCADD is a bit dated now and at $995 isn’t exactly cheap either but if you miss the aesthetics of pen on paper, it offers something a bit different. Which Is The Best CAD Software For Mac? SmartDraw is still our favorite 2D CAD tool for Mac users, simply because it makes CAD so easy, whatever your level. For complex 2D and 3D CAD, the industry leading AutoCAD can’t be beat for features and ease of learning. Its DWG format is still the industry standard for CAD design. If you’re a beginner to CAD, the 2D only version AutoCAD LT is far cheaper and easier to use than AutoCAD making a good starting point. 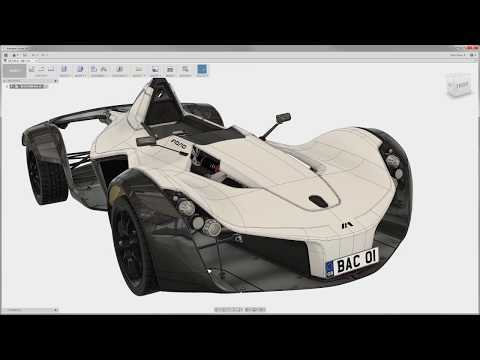 Autodesk Fusion 360 is still the best for product designers and although it’s Cloud based, it works superbly on Mac. If you don’t want to be locked into a monthly subscription model, TurboCAD Mac Pro for Mac is a good alternative to AutoCAD on Mac and will satisfy all but the most demanding of architects and engineers. TurboCAD Mac Deluxe meanwhile is excellent value for intermediate users that need 2D and 3D CAD features. Finally, for those that are just getting started in CAD design or want something desktop but easy to use, MacDraft PE is an excellent entry level Mac CAD package. We’ve looked at a lot of different options in this article and if it’s all been too much to digest, here’s a useful summary of our top 5 picks. Are There Any Free CAD Tools For Mac? If you’re looking for something free to do basic mockups or get started in CAD, there are a few free or open source CAD applications for Mac worth trying. Here’s a selection of the best ones. SketchUp started life as a simple online design tool by Google until it was bought by Trimble Navigation and turned into a professional CAD tool for both Mac and PC. 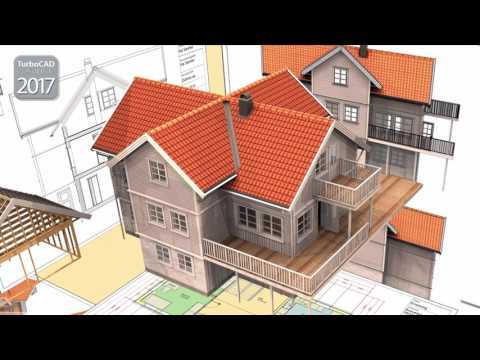 SketchUp was Google’s idea of a free and basic user-friendly CAD application for all abilities and Trimble Navigation has maintained this ease of use but added more professional features. 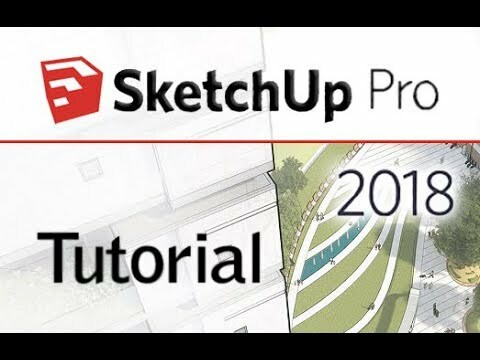 SketchUp Pro is both a serious option for CAD professionals but also beginners that want to create impressive mock ups. It’s suitable for those in a range of professions from architecture, construction, engineering to interior design, light construction and landscape architecture. The basic version of SketchUp is an ideal tool to give clients 3D mock-ups of their designs or for clients themselves to provide architects with an idea of their vision or plans. If you want your client to sketch out their vision for you to develop for example, point they can download SketchUp free for personal use and create a basic outline that you can then develop further. The professional version of SketchUp is for serious CAD designers but it still retains the general ease of use of the original Google product and still has Google Earth integration for geo-tagging designs. SketchUp is free for Educational and Personal use but the Pro version costs $695. As the name suggest, FreeCAD is a free 3D modelling software for Mac which uses Parametric modelling to create designs. FreeCAD can read files in STEP, IGES, STL, SVG, DXF, OBJ, IFC and DAE format and is aimed mainly at those in mechanical engineering and product design fields. 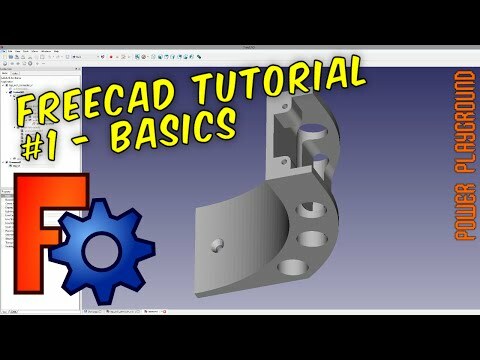 FreeCAD features some of the tools found in major industry leading CAD applications such as SolidWorks but relies more on modules and scripts to design things like OpenSCAD. If you’re comfortable with scripting and modules, FreeCAD is another powerful yet free 3D design tool for Macs. QCAD is a free open source 2D Computer Aided Drafting application for Mac, Windows and Linux which allows you to create technical drawings for buildings, interiors, mechanical parts, schematics and diagrams. QCAD is a great starting point for novices in CAD design with a simplified, clear interface but plenty of features. QCAD can import and open DWG and DXF files and also has a special add-on for Computer Aided Manufacturing (CAM). There’s also a professional version of QCAD which costs less than $40 and adds extra features although it doesn’t support 3D CAD. If you’re new to CAD and need something easy to get started with at zero cost, QCAD is an excellent beginners CAD package for Mac users. In reality, there’s no such thing as the “best” CAD software for everyone. However, there’s definitely such a thing as the best CAD software for your needs. Choosing the right CAD software for your specific needs however depends on whether you’re a professional designer, student or simply an amateur looking to do a little bit of home or landscape design. Professional packages such as AutoCAD are complicated to learn and use as they whereas packages such as TurboCAD are somewhere in the middle, sometimes referred to as “prosumer” CAD software. Online technical drafting software such as SmartDraw are aimed at those with minimal CAD experience and provide plenty of templates and automated functions to do the hard work for you. Before you buy, here’s a few important questions and things to consider before deciding which one to choose. Are your CAD needs industry specific or general? If you need CAD software for a specific industry, such as Architecture, then you need software designed specifically for the needs of 3D Architecture and all the components that go into buildings. If it’s mechanical CAD you’re going to be doing on your Mac then the needs are a bit different. CAD software also covers many other fields including construction, engineering, commercial interiors, light construction, landscaping, interior design, urban planning, game design, film & stage, woodworking and much more. You should make sure the CAD software you choose supports the specific industry you’re working in. Do you need 2D or 3D CAD software? Again, this depends on what you want to use it for. If you only need to work in the Y and X axis i.e. 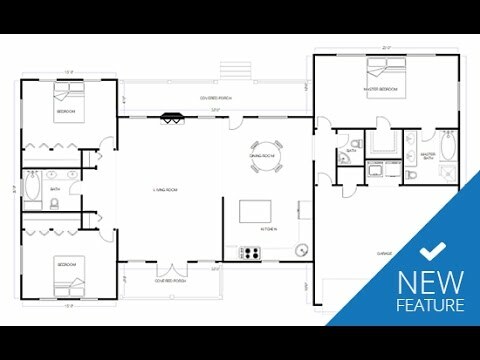 draw floor plans, elevations and top/front/bottom angles of different objects, then 2D CAD software is all you need. 3D CAD software meanwhile allows you to work in the X,Y and Z axis and is essential for architects, product designers or those that need mechanical CAD software features. Basically, anyone that needs to manipulate a design from every possible angle. 3D software allows you to create both models and wire-frames but it’s more expensive than 2D software and can run into thousands of dollars on Mac. Note that most professional 3D CAD software such as AutoCAD and ArchiCAD have now been updated to include support for 3D printers. Are you looking for paid or free software? It should be no surprise that free CAD software on Mac is generally nowhere near as powerful as paid software although there are still some pretty decent packages now available which we’ve included in this article. If you just need 2D design capabilities or don’t need to collaborate in a team with others, you can probably get away with using free CAD software if you’re not working in a professional environment. 3D designing is another matter however and there are few free 3D tools which are worth using. If you’re intending to use the software for professional work, it’s highly recommended to go for a paid CAD software as you may spend more time fighting with a free option or searching for features that are lacking than actually being productive. Don’t be caught-out by CAD software that claims to be “free” but actually only offers a free version with limited functionality that requires you to upgrade to unlock features. Do you need BIM support? BIM (Building Information Modeling) is the next step in Computer Aided Design and an increasingly important feature of CAD software for professionals. BIM models are more intelligent than traditional CAD plans because they contain much more information. For instance, BIM models can calculate the knock-on effect that the smallest of changes to modeling plans can have. In the long run, BIM can help cut down on the amount of errors or reworking that needs to be done to your CAD designs. Most of the top industry leading packages such as AutoCAD and Vectorworks, include BIM capabilities as standard but cheaper packages usually don’t. We’ve indicated which packages support BIM in these reviews. Do you need CAD or 3D design software? We have focused here mainly on CAD software, although we have also featured some 3D design or animation software because the line can be often blurred. The difference between the two types of software is subtle but the key difference is that CAD software is specifically for the needs of professional and industrial designers, with all the technical specs and needs they have. In a nutshell, 3D design software is generally aimed at the more creative side of design – for example animation – whereas CAD programs focus on technical plans and designs. Does the developer offer support? Make sure that the CAD app you choose offers extensive help, training and after sale support. CAD software is very complex and if you’ve never used it before, it can be very daunting to get to grips with. In particular, the most common problem you will experience with CAD software on Mac that’s been ported from Windows is instability and it can send you insane trying to work out exactly what is causing glitches or bugs with the program. The most reputable CAD software developers offer free customer support but some charge extra for it so check before buying. 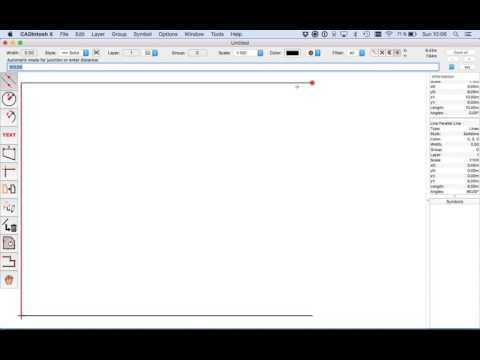 A command line (which enables you to search for a tool or object in real-time), design setup wizards, templates and tutorial videos. Particularly if you need to create architecture designs, look for software with house wizards which take the basic information in your design and can whip-up a basic house design in minutes saving hours of work. A complete set of editing tools is also important i.e. the ability to use pointer markers, layer editors and color coordinate different elements in your designs. Most CAD software now includes a snap tool to make sure that your designs fit together neatly but it’s still always worth checking. If you need to import and export files, check what CAD file types it supports. Common formats are DWG, DXF (Drawing Exchange Format, important for things like CNC cutters, plasma cutters etc), DWF and DGN. If you’re going to be exporting for 3D printing, STL export is important and of course, it’s always handy to be able to export to common document formats such as PDF and image formats such as PNG and JPG. Support for your specific industry. In architectural CAD software for example, photo realistic rendering is a useful feature because it allows you and your client see what the final design will actually look like. Although there is CAD software on Mac for almost every conceivable need and area nowadays, there are certain industries such as pipeline, piping and valve architecture that require ISO prints for which there’s no specific software on Mac for yet. Support for graphics tablets. If you’re a professional architect or CAD designer and prefer to use a digital pen for sketching blueprints, make sure the software you select supports tablets. Check out our guide for which drawing tablets for Mac work best with macOS. Once you’ve digested all of this, you’re much better prepared to choose the right drafting software on Mac for you. If you really don’t want to go to the hassle of finding CAD software for your Mac or can’t find anything that measures up to CAD software you use on PC, you can always install Windows on your Mac. A virtual environment like Parallels has the advantage of allowing you to run both macOS and Windows at the same time but if you use Boot Camp, you can only boot in either macOS or Windows at one time which can be annoying if you need to switch between your Mac and Windows CAD software regularly. For an example, check out our guide on how to run SolidWorks on Mac which is only available on Windows. However, we don’t recommend running Windows on your Mac in order to use CAD software. You will inevitably experience bugs running Windows CAD software on a Mac this way, especially graphic related issues such are the complexities and demands of CAD software. It’s much better to use a Mac only CAD software solution like the ones covered here instead and the choice on Mac is enough so that using Windows really isn’t necessary for most people. This also means that if you have any problems with the software, you will receive support from the developer. If you’re running Windows CAD software on a Mac however, the developer is unlikely to offer technical support as most don’t support problems running Windows on Mac. We hope this overview has shown that there’s no need to go back to PCs or Windows for your CAD needs. Indeed, the future for Computer Aided Design on Mac in 2019 generally looks very good as more developers recognize the growing demand on Mac or move their software online. A good example of the way the industry is moving is Onshape which was started by some members of the team behind the popular SolidWorks 3D CAD design software for Windows. Although you can run SolidWorks on Mac using a virtual machine it’s not an ideal solution and doesn’t work as well as on PC. Onshape meanwhile claims to offer the functionality of Solidworks but in any web browser, running on any platform. Onshape is the first serious attempt at a web-based 3D CAD software that enables teams to work on designs as the same time in real-time. It works extremely well on a Mac too which isn’t surprising as the majority of programmers that created it coded it on Mac. The main problem with Cloud or online CAD software is that it often can’t meet the technical needs of graphic intensive CAD demands but Onshape allows you to create complex parts, assemblies, and detailed drawings comfortably within a web browser on a Mac. You can even use Onshape on your iPad or iPhone. By current market standards, Onshape is priced quite competitively too. The basic version is free but professionals will need to upgrade to the Pro plan for $100 a month to unlock all the functionality. In addition to developments such as Onshape, there are also signs that Apple is increasingly willing to move closer towards enterprise apps like CAD software such as the deal it reached with IBM. This means Apple is likely to put more effort in supporting business oriented CAD software on Mac in future when it comes to components and software support. So all in all, the future for CAD designers on Mac looks very bright indeed. If you have any questions or problems with the software covered here, or need some advice on which CAD software is right for you on your Mac, let us know in the comments below. If you’re interested in interior design and floor planning specifically, we also recommend you check out our guide to home design software on Mac. It should be noted that SketchUp was originally developed by @Last Software of Boulder, Colorado, co-founded in 1999 by Brad Schell and Joe Esch, and debuted in 2000. Google bought SketchUp in 2006 and sold it to Trimble in 2012. Likewise, the Pro version predated the Google acquisition as well. Before stating that “SketchUp is not a serious option” you may want to review what people like architect Nick Sonder is doing with SketchUp. Thomas, Thanks for the feedback and clarifying the history of SketchUp. The work being done by Nick Sonder is impressive and we were of course referring to the basic version of Sketchup when we stated “it’s not a serious option for professional CAD designers”. The Professional version clearly is suitable for professionals which we stated in our review. HighDesign has just had a major update and is now HighDesign 2015. Many thanks Tim. We’ve taken a look and revised the article.